Stroke remains one of the most devastating neurological illnesses and the leading cause of long-term disability in the U.S. It’s projected that the total cost of stroke from 2005 to 2050 will be $1.52 trillion for non-Hispanic whites, $313 billion for Hispanics, and $379 billion for African Americans. Until 2015, intravenous alteplase (rtPA) was the only proven treatment for acute ischemic stroke. In 2015, a series of five randomized controlled trials demonstrated the effectiveness of mechanical thrombectomy for patients presenting with acute ischemic stroke due to anterior circulation large vessel occlusion within 6 hours of symptom onset. In this study, Sevick et al perform a systematic review to evaluate cost effectiveness of endovascular therapy (EVT) for acute ischemic stroke. The authors also aim to synthesize all the publicly available economic literature regarding EVT. Databases for MEDLINE, EMBASE, Health Technology Assessment Database, the UK National Health Services Economic Evaluation Database and EconoLit were all searched from inception until October 17, 2016. The initial search strategy was developed for use in MEDLINE and then adapted for the other databases. Only human studies published in English or French were included. Titles and abstracts were reviewed by the study investigators and only studies that included economic evaluations, cost-utility, cost minimization, cost analysis, or business cases of EVT for ischemic stroke patients were selected for full-text evaluation. Full-text evaluation was then reviewed independently by the same trial investigators performing the initial selection. A total of 463 abstracts were identified; of those, 277 were excluded and 45 proceeded for full-text review. Of the 45 studies, 28 were then excluded for different reasons (not English or French, unavailable text, not appropriate design, not ischemic stroke). The final number of articles was 17. Of the 17 articles identified, seven were cost analyses, and 10 were cost utility. For the cost analyses studies, the primary objective of four of those studies was determining the cost of EVT procedure. These studies considered the cost of all devices used during the procedure. The other three studies had the primary objective of determining the cost of hospitalization of those patients where they considered both the procedure and direct hospitalization costs. The overall conclusion from these studies was that while EVT with a stent retriever improves outcome, it may be more expensive than other alternatives. For the cost utility studies, 10 studies were identified. All studies reported an incremental cost-effectiveness ration of the cost per QALY gained as the primary outcome. When a threshold of $50,000 per QALY (CDN) is adopted, all the studies showed good value for money. Two studies determined that EVT leads to cost saving, whereas 8 studies reported incremental cost effectiveness ratios. To summarize the results of the cost utility studies, the authors extracted and plotted all cost effectiveness ratios varying by perspective and time horizon as QALY (Figure, below). Figure: Summary of cost per quality-adjusted life year (QALY) results from included cost-effectiveness studies. The main limitations of this review include the fact that none of the studies included the cost of transportation. Additionally, none of the studies randomized patient level costing to determine the hospital costs associated with EVT. In conclusion, cost effectiveness studies have shown that EVT with stent retriever results in the highest hospitalization and procedural costs; however, these devices were also associated with improved outcomes. EVT seems to be a good value for money when a threshold of $50,000 per QALY gained is adopted. An Association Between Early Blood Pressure and Poststroke Cognitive Impairment? Analyzing Clots – A New Direction? Are Aphasia and Visual Neglect Good Prehospital Predictors for Large Vessel Occlusion in Acute Stroke? 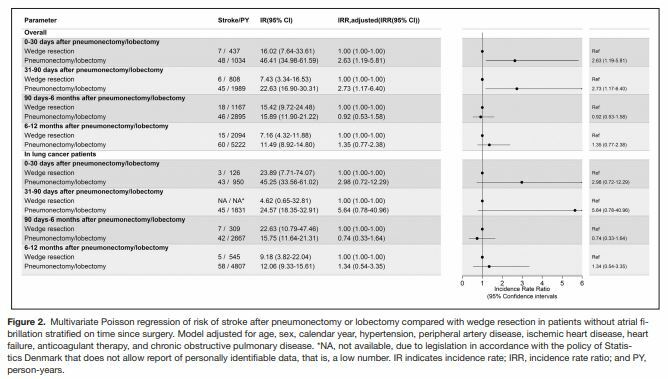 Article Commentary: "Smoking and Risk of Ischemic Stroke in Young Men"
Article Commentary: "Virtual Reality for Stroke Rehabilitation"
Association of Renal Impairment and Cerebral SVD is Exclusive for Younger Individuals After Adjusting for Vascular Risk Factors: Genetic Predisposition or a Separate Vascular Entity? Author Interview: Dr. Greg Albers, on DEFUSE 3 and its Implications for Systems of Stroke Care in the U.S.
Bridging Therapy for Endovascular Thrombectomy: A Role for Direct Mechanical Thrombectomy? Can We Manage Intracranial Aneurysm Medically? Could Bypassing Primary Stroke Centers for Thrombectomy-Capable Centers Lead to Improved Outcomes? Does Head Positioning Matter in Acute Stroke? Elevated Troponin Levels After Ischemic Stroke: Take a Look at the Heart! Head of the Bed Flat: What is the Big Deal? Hypertension is Less Well-Controlled After Stroke Than After Myocardial Infarction in the Veterans Health Administration System – A Call to Action? In Search for a Potential Biomarker for Small Vessel Disease: Is Plasma Aβ Level the Answer? Is Endovascular Thrombectomy Safe and Effective in Large Vessel Occlusion Patients with ASPECTS 0-5: Time to Rethink? 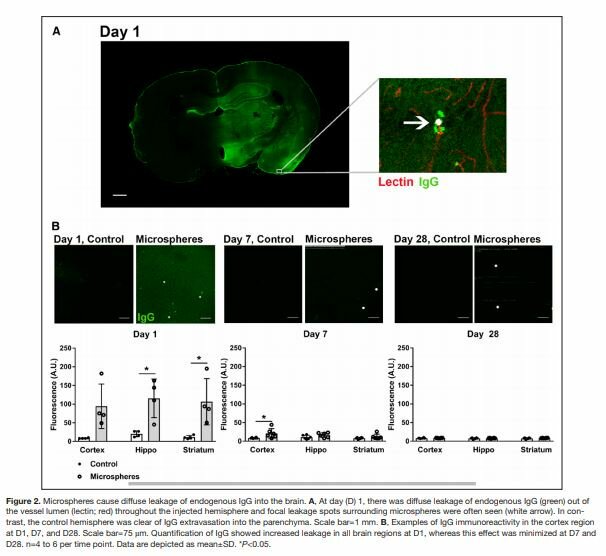 Is Neuroprotection the Next Revolutionary Step in Stroke Therapy? ISC Session: “Cost Effective Stroke Interventions in Low and Middle Income Countries” — Left Behind or a Different Reality? ISC Stroke Journal Symposium: "Imaging Approaches to Patient Selection for Thrombectomy"
Ischemic Penumbra and the Race Against Time. Or Is It? Large Ischemic Core: Treat or Not Treat? Malignant Brain Edema: Revascularization As a New Tool to Avoid It? Migraine, PFO, and Ischemic Stroke – Is There a Relationship? Physical Activity: A potential target for post stroke fatigue? Proteinuria, A New Disease Marker? Rising Incidence of Stroke in Pregnancy: What’s to Blame? Should We RESPECT PFO Closure? So You've Found Some Microbleeds, What Now? Statins and Intracerebral Hemorrhage — Causation or Coincidence? Stent Retriever: Does the Size Really Matter? Tandem Lesions: To Stent or Not To Stent? Therapeutic Management of Aspirin Failure – Does Changing the Antiplatelet Regimen Help? Thrombectomy in Acute Stroke with TANdem Lesions: TITANic Technical Challenge? Thrombectomy is Successful, and the Artery is Open. Should I Worry About Reperfusion Injury? Transthoracic Echocardiography: Can We Eliminate Unnecessary Testing? Using COMPASS for Primary and Secondary Ischemic Stroke Prevention? Visual Vertical Orientation: A tool to guide post-stroke rehab? Watching Paint Dry: Do We Need to Watch tPA for 24 Hours? What's Behind Childhood Arterial Ischemic Stroke? What's Drip and Ship got to do with it? When Should We Anticoagulate Atrial Fibrillation Patients After an Intracranial Hemorrhage? Which Hemostatic Agents Should We Use in Acute ICH? DVT Prophylaxis after ICH: What do YOU do?! Mechanical thrombectomy for stroke is cost-effective, but scalability remains an issue. Subclinical infarction post cardiac surgery: What’s the damage?